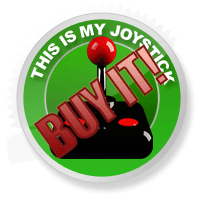 Hotline Miami Review - This Is My Joystick! Sick of hearing about Animal Crossing? I know I am. Mostly because of jealousy (I don’t own a 3DS) but also because it’s not a real game, is it? There’s no ending. There’s no high-scores. There’s no ‘getting good’ at it, is there? Well, here’s the realist of real games for you. 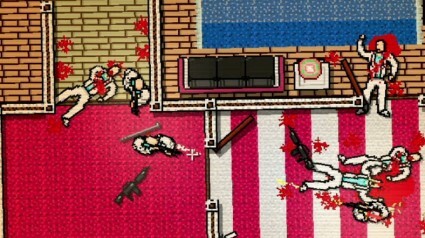 Today’s review is all about Hotline Miami, on its new home, the Playstation Vita. Does last year’s indie hit make a smooth transition to the Sony handheld, or is it as much fun as a crowbar to the face? The story of the game won’t win any awards, but it’s certainly more interesting and subtle than 99% of what you’ll see in games. Taking advantage of the main character’s ‘unstable’ mental condition, you’ll see sights that shouldn’t be possible. Haunted by previously gunned-down mobsters, Jacket (as he’s known) has to deal with mysterious phone-calls that prompt him to go about his missions. Not wanting to give anything away, it’s safe to say that you’ll question what’s real and what’s not. The biggest compliment I can give the story is that it doesn’t intrude, keeps you engaged and compliments the game’s style immensely. For those of you that don’t know, let’s go over some basics. 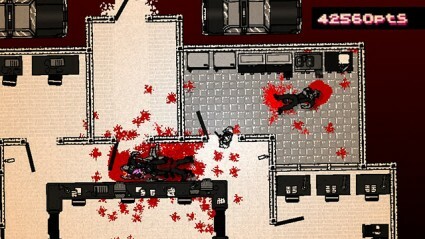 Hotline Miami is a top-down arcade style kill-fest. You’re tasked with simply clearing out room after room of Russian gangsters with your fists, melee weapons and firearms. Sounds like a simple enough premise and one that doesn’t lend itself to a game of any note, but there’s more to Hotline Miami than the game’s simple structure. Sleeping in ketchup. A mobster’s favourite hobby. For a start, the game moves at a frantic pace. Everything happens so quickly that the game almost forces you to enter a trance-like state. If you hesitate with what you’re going to do, you’ll be dead in one hit. Instant reactions are the only way you’ll survive each level as enemies are soon alerted to your presence and come swarming towards you. Just because everything has to happen quickly doesn’t mean you won’t have to think about what you’re doing. Planning ahead can often be the difference between having your brains on the wall or theirs. You’ll have to take into consideration what weapons the enemies have, what weapons you have and the layout of the room. That’s not to mention the extra layer that Jacket’s masks provide. You see, before each murderous encounter, Jacket plonks on a mask. You don’t want to get caught, after all. Each mask offers a unique power or ability. This can be killer punches, silent shots or extra ammo in guns. Whatever you choose, you’d plan as far ahead as possible. ‘You are dead’. Get used to seeing this. Do you burst in, guns blazing, and deal with the rush of goons that’ll bring? Do you throw you shotgun at the armed guy across the room and run in close to finish off the other two gangsters with bats? Will the guys in the next room hear your shotgun blasts? These are all things you’ll need to consider or you’ll have to get used to restarting. 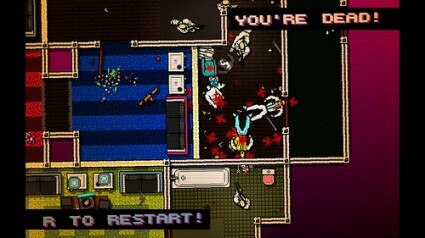 In fact, even with the best laid plans in the world, restarting is a fact of life with Hotline Miami. The game is constantly keeping you on your toes with enemies that will seemingly change their patterns at random. This may be an example of ‘bad AI’, but I can’t help but feel it adds to the intensity and pure savagery that is the game. This is pretty much all of the Vita ‘exclusive’ content there is. After putting in enough time, you’ll soon discover your own method of playing Hotline Miami. I’m more of a ‘wear the mask that gives you killer punches and rush these fools’ kind of person. You’ll die hundreds of times before you’ve truly got a good idea of your style of play. Speaking of style, the visuals of this game are striking to say the least. Neon colours fill the screen, brutal animations leave you wincing with every golf club swing and the music brings together a package that oozes style like it was no big deal. Yet it is a big deal. It’s a massive deal, as this title wouldn’t be half as good if it wasn’t for the synergy between the gameplay, the visuals and the audio. The game boasts a soundtrack that would put most club DJs to shame. There’s a lot to be said about games that warn you to ‘use headphones for the best experience’. You’d do well to heed this game’s sound advice. ‘Sound advice…’ great pun if I do say so myself. Here’s the obligatory paragraph on multiplayer. I’ll keep this short: there is none. Absolutely nothing. 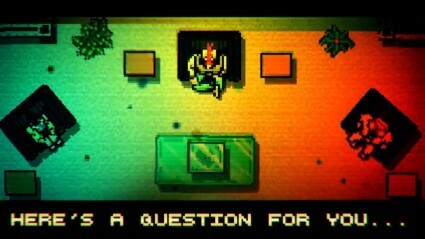 Whilst it’s clear that Hotline Miami is a great game, is it a great Vita game? For most people who care about the indie scene, they’ll have already played this game last year on PC. So, what to tell those people? It’s near-identical to the PC version. The team behind the conversion to Vita have done a great job. The visuals look particularly crisp on the Vita’s glorious screen, meaning all of the red you’ll be seeing spurted across the screen is a vibrant hue. The controls work really well, with the game taking advantage of its new home that contains both dual analogue sticks and a touchscreen. Whilst dragging on the touch screen will move the camera slightly, it’s the ability to tap on enemies to lock on to them that’s really handy. The only negative is that those of you that have spent many an hour in Hotline Miami’s neon warmth won’t find anything new in this version. There’s a new mask (which turns everything black and white except the gore) and a couple of bonus maps, which I believe were pre-order specials on the PC. So whilst it’s hard to recommend this version to those of you that have already played it on PC, it’s an absolute must-buy for those yet to experience this fantastic trip. This is a must-buy for Hotline virgins and is, in my opinion, a superior version to the PC original. Not superior enough to warrant a second purchase, perhaps, but that’s down to how eager you are to get back into playing Hotline Miami and just how much new content you’re expecting. My advice is to expect none. That way you won’t be disappointed.